Aside from birthday and holidays, I buy my kids toys… about never. They have plenty, but few are from me. There are nearly daily pleas to buy them the latest and greatest shiny object in every store. I’ve worked hard to put my family in a fortunate position. With that comes the opportunity for them to take a lot for granted. So aside from ensuring that my kids are healthy, my next priority is to ensure that they’re not spoiled. When you teach your kids about saving money, it can seem like a never-ending effort with no progress to show. 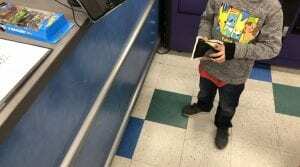 My oldest son wanted to go to Toys R’ Us to buy something. He kept asking questions about the price of toys, as if he was being price sensitive. Usually, he’d ask about a price and would reply “I have that much!” But this time he was thinking hard about something. It seemed like $5.99 was ok, but pushing it. $6.99+ was definitely too much. He appeared to be striving for < $5. He finally picked some Hot Wheels. After he bought his new cars with his own money, he collected his change and receipt and left the store. I knew one day it would click with my son, and I’m proud to see that it happened this week.